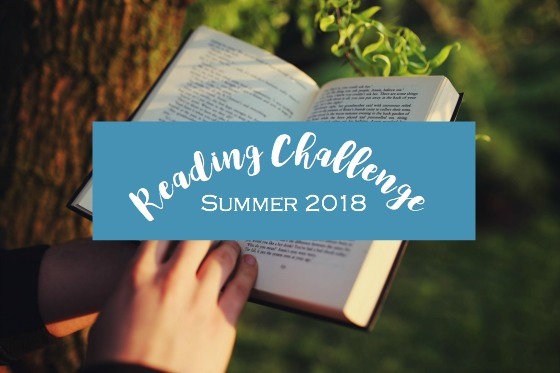 Y’all know that I read The Bully Pulpit: Theodore Roosevelt, William Taft, and the Golden Age of Journalism by Doris Kearns Goodwin this summer as part of the Summer Reading Challenge. Several years ago, I read her tome on Lincoln, Team of Rivals. Because of the length, I admit to being a bit proud of myself, but it was the subject matter of building and working with a team who could be classified as “rivals” that made it a must-read. You can read my thoughts on Rivals here. I wondered if I would feel the same about Teddy Roosevelt, William Taft, and those from “the golden age of journalism.” Would this be a must-read? The short answer is yes. The Bully Pulpit exemplifies what I love about history. History provides a mirror for the current age. If we think now is a hot mess, we are arrogant and a tad ignorant. Once again, I am grateful for sitting at the feet of history as I read this page-turner. Generally speaking, you can guess what the book was about, so no surprises there. What I appreciate about Goodwin’s writing is that she honors the complexity of situations and shows enough of the context to help the reader see how various realities interact. 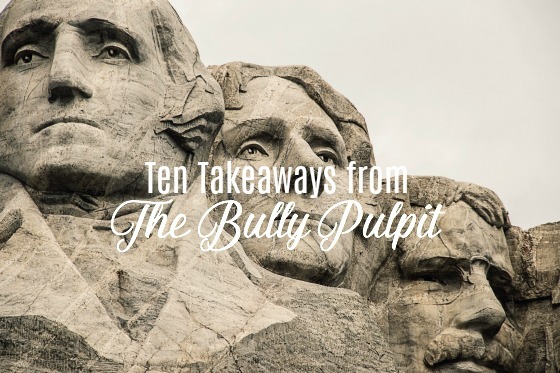 Thanks to The Bully Pulpit, I have my own Ten Takeaways from The Bully Pulpit. 1. Use the technology of the day. Roosevelt would not start a speech until he knew a stenographer was present. I hadn’t thought of “stenography” as cutting-edge technology, but it was. 2. Know that everyone has an agenda. I don’t mean this is a “the sky is falling!” way, but more of a “we are all wired to care” way. “The policy of the Evening Post is to break down Roosevelt.” (page 257) I am tempted to think there once was a magical era when the media wasn’t biased. While the role of the media in the U.S. ebbs and flows, it’s naïve to think other eras didn’t have their own media issues. 4. Be aware of the relationship between societal changes and mental health. There was a “stunning increase in nervous disorders diagnosed around the turn of the century. 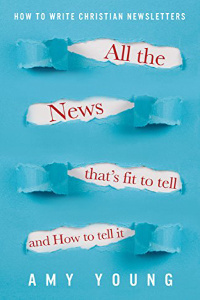 Commentators and clinicians cited a number of factors related to the stress of modern civilization: the increased speed of communication facilitated by the telegraph and railroad; the ‘unmelodious’ clamor of city life replacing the ‘rhythmical’ sounds of nature; and the rise of the tabloid press that exploded ‘local horrors’ into national news.” Sounds like today! 5. You will face a Big Issue of the Day. For Roosevelt and Taft it was monopolies and government regulation of industries such as the meat packing industry. Anyone else horrified by The Jungle by Upton Sinclair? I can’t remember if I read The Jungle in high school or college, but I do remember the shock I felt at the working conditions. This book helped to move the hearts of many and paved the way for changes. In the U.S., one of our current Big Issues is health care. But this book reminded me that if it wasn’t health care, it would be something else. Every era has a Big Issue to wrestle with. 6. Value Friendship. Roosevelt and Taft were friends until the election of 1912, and then they weren’t. Reading the disintegration of their friendship was one of the hardest parts to read. Thankfully, seven months before Roosevelt died, they had a chance encounter and mended fences. “Roosevelt confided that at long last they had ‘completely renewed the old friendly relations.’” The Bully Pulpit also highlighted the long-standing friendships between many of the writers for McClure’s Magazine. One lived in Emporia, Kansas and traveled back and forth to NYC. Shout out to Kansas! 8. 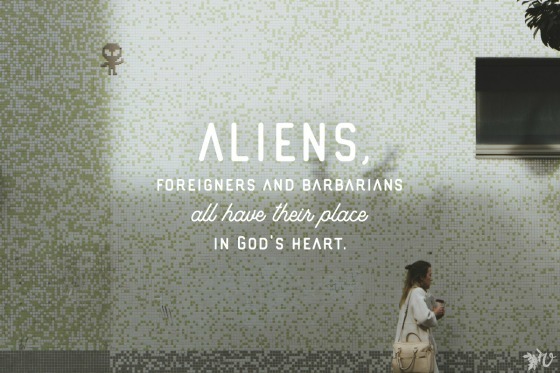 They might be strange or unexpected, but be on the lookout for points of connection. Guess what Taft, Roosevelt, and Amy Young have in common? They have all had at least three surgeries on their bottoms for abscesses. And Taft and Young eventually both had fistulas develop that required a surgical solution. I don’t think I’ve ever been in such good “bottom” company before! And finally, two reminders that parts of history DO show how far we have come. 9. Mentioned above is the rise in “nervous breakdowns.” Want to know a common treatment? “Rest-cure,” which sounds innocent enough. It required patients to remain isolated for weeks or even months at a time, forbidden to read or write, rigidly adhering to a milk-only diet.” No. Thank. You. 10. Think modern politics are crazy? It took 46 ballots and 8 days of voting for Woodrow Wilson to be nominated in 1912! Oh my. I am so grateful this book has moved from my “To Read” list to my “Read” list! I might not dive into another tome in the next few months, but when I do, what long book would you recommend I read next? Thank you to all who participated in the Summer 2017 Reading Challenge! This year, we were international baby. People participated from Africa, Asia, Central America, all around the U.S. Maybe more. We clocked over 150 books. Good jus us! Winners have been notified; if you didn’t win, Summer 2018 with new categories will be here before you know it. I had so much fun! So writer question for you. I am thinking and praying about writing eventually, like as a career or side job, but aside from the fact that I have no idea if I have the talent of course, I am super sensitive to criticism. Not out of ego, more like I just take everything personally, I’m way too insecure! I’m working on it. How do or did you handle rejection as a writer? Or do you have any words of wisdom on that, if you haven’t faced rejection? If only! Criticism is a part of life. 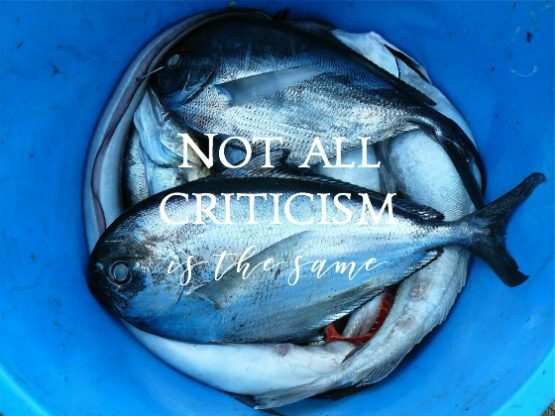 But not all criticism is the same. Part of living well in the messy middle is to create enough space for your brain to kick in and evaluate which type it is so you can respond accordingly. 1. The criticism that is more like indifference. You aren’t important enough to even engage. Some people never respond to something I have written . . . I’ll submit a post or a book proposal and then — crickets. It stings a little, but not too bad. 2. The criticism that is points out a truth I know, but in a humorous way. Not that the critic means to be funny, but I take it that way. 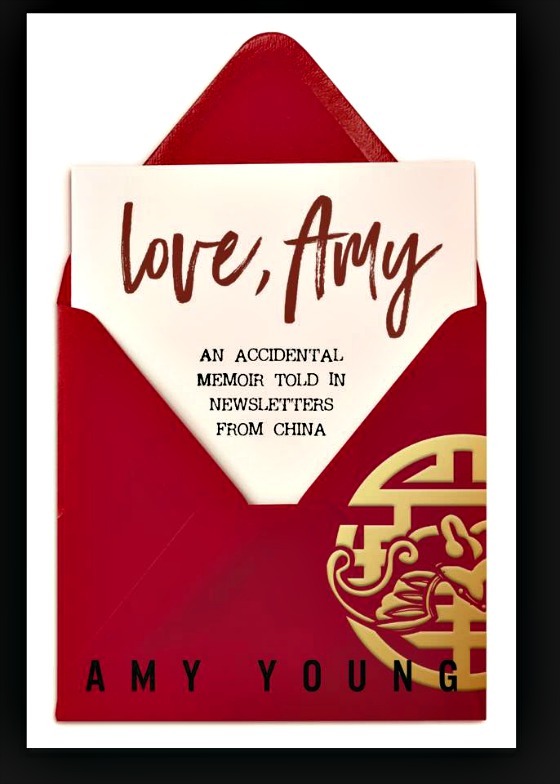 Some people will comment on something I’ve written, something like, “Amy, you are a little too . . . “ whatever for that post. Usually, there is something funny about it. Because, yes, yes I am a bit over the top at times, or whatever. These I can shrug off. Larry, will always stand out as my first critic I didn’t know. In response to The Mother’s Day Post he emphatically ended with “My dear, Life is not about YOU.” Um, newsflash Larry, I know that :). 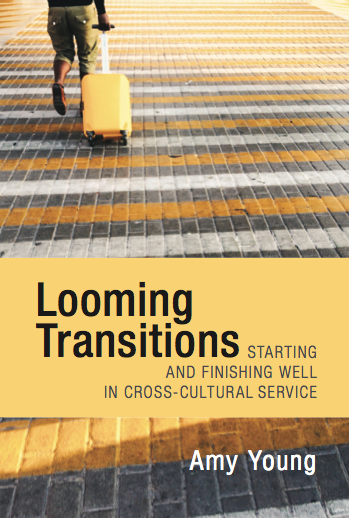 Oh, and on Looming Transitions? 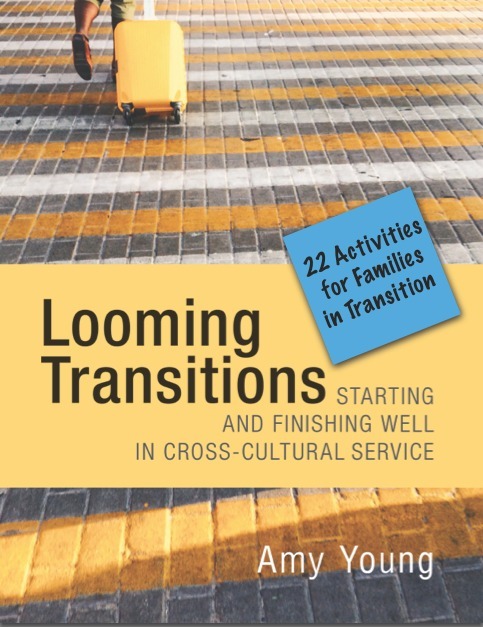 The person who said it should be called Transitions for Dummies, not sure why, but this cracks me up. 3. But then, sometimes pa critic hits below the belt. I have been called very selfish, ungrateful, mean, not Godly, and other things that in the context of the comment really hurt. And they bounced around inside of me. 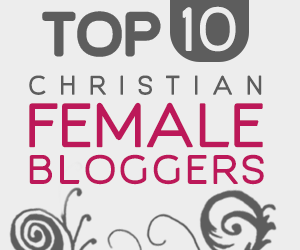 On one blog, where I was a guest post, the host did not stand by me while her people treated me like crap. After replying to about 200 comments and taking hit after hit, God said, “Okay, that is enough, you don’t have to engage any more.” I’m working on these voices having less space in my head :). Working on it!! 4. The final category those who give feedback out of support for me or a project. My editor BLEEDS on my work. Oh my word. Everytime I am shocked how many errors or suggestions there are :). With her, I remind myself that every cut or comment is motivated out of love for me and the desire for my writing to be the best it can be. She says nothing out of malice or to hurt me. She is for me and the project and is helping to make it better. When I listen to her, I end up sounding more like me. This is the paradox of criticism. So, I wrote back to my friend, this is a long answer that not all criticism is the same :). I try to step back and see which bucket it is in and to not give all criticism equal weight. The day that we have all been longing for is here :)! 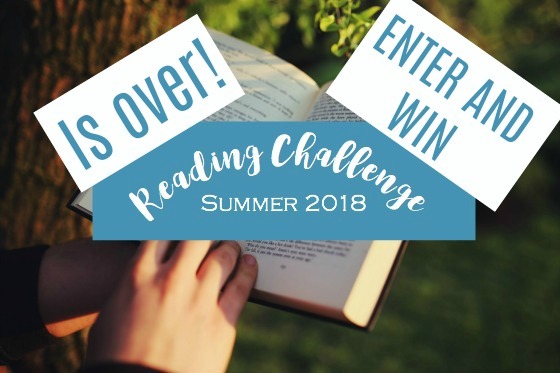 The end of the Summer 2017 Reading Challenge. Like runners at the end of a race, maybe you have stumbled across the finish line and are now collapsed and gasping for air. A book by an author you know. 1. A book related to professional development (can be loosely interpreted). Option B: Facing Adversity, Building Resilience, and Finding Joy by Sheryl Sandberg and Adam Grant. Sheryl’s husband dropped dead on the basketball court, dropping her into Option B for her life. Interested in learning about fostering resilience? This book is for you. The Advantage: Why Organizational Health Trumps Everything Else In Business by Patrick Lencioni. A must read. One of the best reads of the summer. Life is messy and hard, yes. But that doesn’t mean we are helpless. Highly skilled people are not the primary advantage, organizational health is. Again, a must read for your family, team, church, non-profit, or job. Emotional Agility: Get Unstuck, Embrace Change, and Thrive in Work and Life by Susan David. If you find yourself stuck in a pattern of thinking or behaving that isn’t helping you? This books will help. 2. A book that helps you understand part of history better. Boxers and Saints by Gene Luen Yang. This two book graphic novels brilliantly tells the Boxer Rebellion in China (1900) from both the side of the Boxers and a Chinese convert to Christianity (Saint). If history really isn’t your bag, maybe try coming in through the side door of the graphic novel. 4. A Young Adult (YA) book. Symphony for the City of the Dead: Dmitri Shostakovich and the Siege of Leningrad by M. T. Anderson. From Amazon: “This is the true story of a city under siege: the triumph of bravery and defiance in the face of terrifying odds. It is also a look at the power—and layered meaning—of music in beleaguered lives. Symphony for the City of the Dead is a masterwork thrillingly told and impeccably researched by National Book Award–winning author M. T. Anderson.” Longest siege in recorded history (872 days) and more people died in this siege than all of American and British deaths. Fascinating and disturbing. 5. A book recommended by a friend. 7. A book you’ve been meaning to read. Ugh. The ONE book I started this whole challenge last summer to read? Still have not read. Sigh :). 9. A book recommended by a teenager. Shackleton: Antarctic Odyssey by Nick Bertozzi. My oldest niece read this last summer and recommended it to me. Bonus, this is a graphic novel and read quickly. If you want a quick, light read about Shackleton, this is a good place to start. If you want more, try Endurance: Shackleton’s Incredible Voyage. Hillbilly Elegy: A Memoir of a Family and Culture in Crisis by J.D. Vance. Wow. I had to keep reminding myself that J.D. is YOUNGER than me. I was not reading the life of someone from a different era. He writes beautifully honest about the hillbilly culture he was able to escape. One takeaway? Do not underestimate the power of one person (his grandma) to change a life. Darkness Visible: A Memoir of Madness by William Styron. If someone you know and love has experienced or experiences depression and you don’t, this memoir is for you. Styron is able to verbalize his experience in such a way that you will go, “Oh, wow, it’s like that?” A short, but powerful read. 13. A book by someone you might not spiritually agree with. Letters to a Young Muslim by Omar Saif Ghobash. I discovered this book in the library trying to find a book by or about the Dalai Lama. Ghobash is interesting because he is half-Russian, half-UAE, studied in London, and is now the ambassador to Russia from the UAE. These letters were written to his sons. He seems more of a moderate muslim. It wasn’t a bad read, but didn’t really help me understand a perspective that different from a western educated person. 14. A book that won an award. The Unlikely Pilgrimage of Harold Fry: A Novel by Rachel Joyce. It won the UK National Book Award for New Writer of the Year 2012.“You have to love Harold Fry, a man who set out one morning to mail a letter and then just kept going. . . . Like Christian in John Bunyan’s The Pilgrim’s Progress, Harold becomes Everyman in the eyes of those who encounter him. . . . Harold’s journey, which parallels Christian’s nicely but not overly neatly, takes him to the edge of death and back again. It will stick with you, this story of faith, fidelity and redemption.”—Minneapolis Star Tribune. I’m a fan of Harold! If you liked A Man Called Ove: A Novel , this is your kind of book. 16. 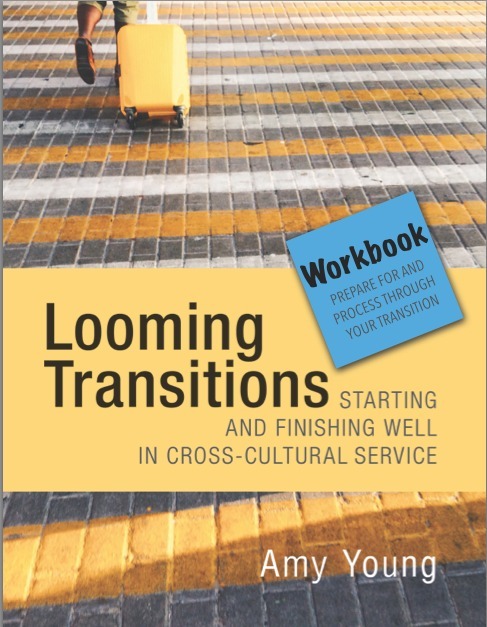 A book that has been translated into English. Speaking of . . . A Man Called Ove: A Novel by Fredrik Backman. I am 75% through re-reading this book. We are reading it for the Velvet Ashes book club and loving it! 19. A book related to a skill (like cooking, writing, photography, or web-design). Is finding readers a skill for a writer? I think so :). The Prosperous Writer’s Guide to Finding Readers: Build Your Author Brand, Raise Your Profile, and Find Readers to Delight by Honoree Corder. 20. A book by an author you know. Flee, Be Silent, Pray: An Anxious Evangelical Finds Peace with God through Contemplative Prayer by Ed Cyzewski. I loved this book. Though I didn’t come out of the Catholic tradition, I found Ed to be a fellow companion in seeking to add contemplative practices to his life. You can see I didn’t read in every category and I’m drawn to non-fiction more than fiction. Next summer I’m going to make better categories to encourage novel reading :). Seriously? Why didn’t I read a novel or a play? Why can I not pass up a memoir (I didn’t include all I read because I am an addict and this is embarrassing). I can’t wait to see what you’ve been reading. I’ll pick winners next Tuesday so you have time this weekend to leave a comment. P.S. I have a little something up my sleeve for us in September :). Are you curious? Ha!—That was a clue. In truth this should be titled Why I need a challenge. Short answer? To grow and change. I know, I kind of hate it too. Oh that I would just do what was in my own best interesting without needing the gentle nudge or, if I keep ignoring signs, the harsh slap of a challenge. I am now far enough into my “health challenge” to see the good that has come from it. Now, mind you, not all challenges come with silver linings, I get that. Some are awful tragedies and no amount of contortionist positive thinking can negate the awfulness. But, real tragedies are more the exception than the rule. Annoying case in point: without my health challenge, I would never have made changes to my diet that will probably pay off for decades to come. It wasn’t knowledge that stood between me and change. I knew that I probably “should” cut back on sugars and maybe not eat as much bread or bagels as I was. But knowledge isn’t the best motivator. Enter a challenge, and suddenly that change I had been meaning to make was made. 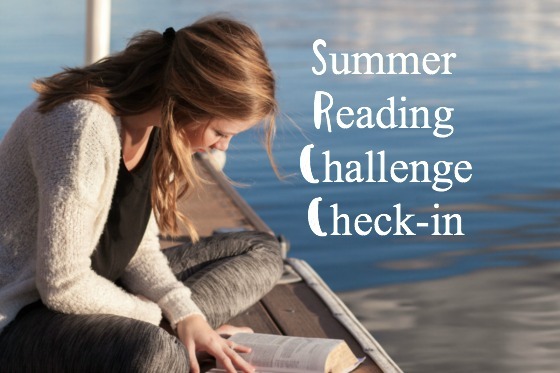 You know this is the second summer for the Summer Reading Challenge. If you are anything like me, when I announced the challenge I was flooded with endorphins and good feelings. Yes! Yes! A reading challenge, count me in. I looked over the categories and made a mental plan. And then I promptly went out and “accidentally stumbled upon” a memoir I must-read-right-now-or-die. Well, ain’t nobody got time for death, so I read it. And then I read another memoir and another. Clearly I have a type. Left to my own, I will read nonfiction book after nonfiction book, mixing memoir and other genres. Joining this challenge myself forces me to read books I DO want to read. I really do. But without the nudge of the challenge, I—sigh—won’t. I wish I would. I want to be the kind of person who does all the right things all the time. So, I called my niece and asked her about that graphic novel she read and some other Young Adult book she recommended a year ago. People, sometimes we just start somewhere. Armed with the two titles, I set off to the library in search of Symphony for the City of the Dead: Dmitri Shostakovich and the Siege of Leningrad and Shackleton: Antarctic Odyssey . Looking for Shackleton: Antarctic Odyssey in the graphic novel section I stumbled upon a graphic novel about the Boxer Rebellion in China!!!!! What?! They make graphic novels about Chinese history? On impulse I checked out Boxers by Gene Leun Yang and discovered reading the cover that Part 2 of the series is Saints telling the missionary side of the Boxer Rebellion. Gene Yang: A Graphic Novelist Caught Between Two Worlds. So, I am going to read Boxers, Saints, and American Born Chinese. And this is why you need this challenge. Left on your own, your thing may not be memoirs or nonfiction, but you have a thing. And you love your thing and that is good. But just look what you may be missing. This challenge has lead my family down a rabbit hole of graphic novels we never knew existed. Will I become a raving graphic novel reader? Um, no. Not a chance. But am I grateful that for my own good I’ve discovered an author I didn’t know and will learn about the Boxer Rebellion? Without hesitation, yes. It is not too late to join in the challenge. It’s not too late for your own reading rabbit trails. It’s not too late to share this adventure with other readers. Challenges are good for us :). What books have you read during this challenge that you might not have read otherwise? Share and let us check them out too. I’ve shared that two summers ago my predominant emotion was resentment. Resentment, no surprise, is a terrible bedfellow. 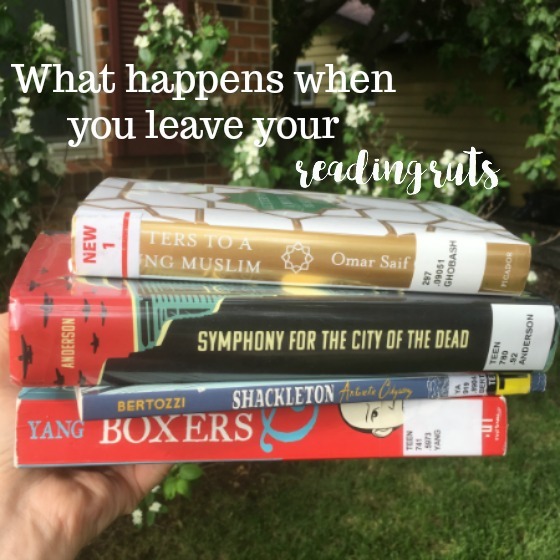 Last summer I set out to make some changes and because I associate “Summer” and “Reading” so strongly, I wanted a way to help “I’m busy” not be a reason to me me (and you) from the joys of summer reading. Last spring as I was gardening I decided, why not hold the reading challenge I was looking for?! Thus was born the hit Summer 2016 Reading Challenge! It will start now, June 1, and run through August 17, 2017. To enter, read seven books from the twenty categories. Along the way I’ll have encouraging posts (for example, you may not know any teenagers to get a recommendation from, so I’ll interview a few and get recommendations for you). What’s different? Five categories have been added! And instead of five winners, ten of you can win. What’s in it for you? All who leave a comment on August 17th telling us the names of the books they read will be entered to win one of ten $10 Amazon gift cards. A Young Adult (YA) book. Here are 37 YA Books You Need To Add To Your Reading List. Download the challenge and print it off to track your progress. I’ll be posting on Instagram the books I read. Post pictures of yourself reading or the books you read and use #Summer2017Reading Challenge. I can’t wait to get ideas from you! Feel free to share this reading challenge with fellow readers. Anyone over ten is welcome. Why should the kids have all the fun! How many books did Hitler burn? I am not an impulse shopper. Why? It is no great statement about my self-control. No, to be an impulse shopper you have to—wait for it, wait for it—shop. Shopping for fun sounds like having a root canal out for fun. It may be necessary, but that doesn’t make it fun. I do, however, have a weakness. This is the joy of impulse book buying, a door opens you never even knew existed and you get to go through it. The numbers are so staggering it is hard to wrap my head about it. I’m early in the book and the librarians are mobilized but people are donating stupid books. What solider wants to read about knitting? Or cutting edge theology of 1870. The ability to read is a privilege I overlook basically all the time. The ability to read what I want is a privilege I overlook basically all the time. The power of ideas to educate and infuse hope is too often underestimated by me too. In light of this, as I sat down today to draw winners from The Summer Reading Challenge, I decided that while not in the millions, the 64 books we collectively read matter. We read 64 books in 10 weeks. People, high five to us!! We are all winners. So, if you entered, check your inbox and later today you will have a $10 Amazon gift card. Take that Hitler. 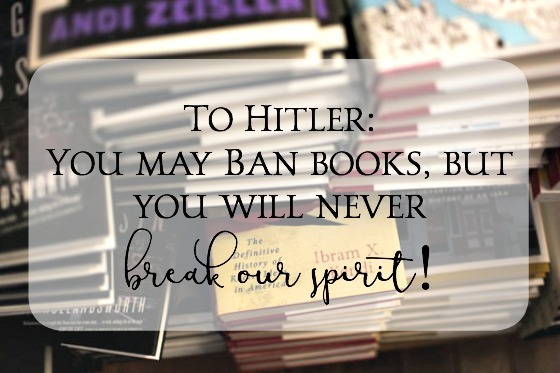 You may burn and ban books, but you can’t break our spirit. Tomorrow would be my dad’s 77th birthday. Since I no longer have the joy of getting him a present, I’m using the money I would have spent on his present to help those who entered buy more books. Happy Book Day to You! To all, if you had $10 to spend, what book have you been wanting to get your hands on?